I have three kids and each has a very distinct personality. When I look back at their baby years, it is obvious to me that they have always had some innate traits, many of which have followed them into their older years. The concept of baby personalities was introduced to me through Tracy Hogg’s book, The Baby Whisperer. In her book, she gives you a rundown of baby personalities, and how knowing what ‘type’ your baby is can help you better decipher their needs. In the book, there is a quiz (found online here) that you can take which helps you figure out your child’s specific personality. 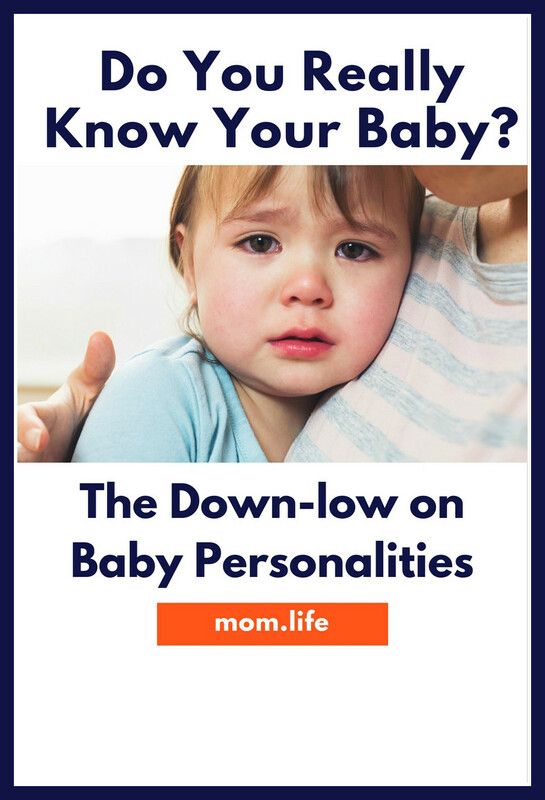 She then breaks down the ins and outs of each personality and how to parent that baby in those early (sleepless) years with that personality in mind. It was enlightening and as a new mom, extremely helpful as I navigated a whole new world with my little one. Angel Baby – this baby is unfazed by much and can go with the flow in most scenarios at home or otherwise. She doesn’t need you to put her to sleep and often wakes up playing in her crib. Textbook Baby – this child is predictable and often meets milestones when the textbooks predict most children will meet them. He sleeps through the night early and is easy to comfort when overtired. Touchy Baby – the touchy baby gets overstimulated easily. All of the happenings of the world can be too much for him. If you’re out to long and stretching their nap time schedule, you are likely to regret it because of the meltdown that may follow. These babies get overstimulated easily. Spirited Baby – if you’re child has been stubborn from day one, this might be your baby. She is demanding and unwilling to wait around in the morning for you to come get her. If she starts crying and you aren’t able to calm her early on, settle in, it’s going to be a long ride. Grumpy Baby – this baby is described as the one who is rarely happy, often fidgety and irritable. While not described quite as demanding as the spirited child, it sounds like this little one is often hard to please. She was careful to note that these personalities are not a one-off but more of a ‘way of being in the world’ – so if they are dealing with colic or teething, you may find your Angel Baby is also grumpy. What does this information do for you? In my experience, getting to know my child’s personality type helped me tailor my approach to parenting them – even to this day. I know that my oldest works well with a predictable schedule, but she is also the child who can role with the changes. I also know that my twins are very different children from my first. One is a mix of the Angel and Textbook baby, while the other is through and through, very spirited. She is the reason I have gray hair. They all have their grumpy moments, but none fit that bill as a whole. Knowing each of my children individually has helped me figure out how to parent them better. While one child thrives on communication through frustration, the other just needs to be left alone until she settles down. As a baby, one rarely through tantrums, while the other was epic in how long her fits lasted. They are all cuddle bugs though, a saving grace for us all on those rougher days, let me tell you. As you work to identify the needs of your child, personality is something to consider. There isn’t a one size fits all approach to raising kids – that would be too easy, wouldn’t it? For me, Tracy Hogg's identifier's worked, but there are others out there. The key is to use what works for your parenting philosophy and hopefully get to know your baby better and in the years ahead so you can both be happier. Want to chat with moms who are in the trenches with you? Moms talk around the clock about their hits and misses in this thing we call motherhood. And all without the fear of judgement because we're live moderated! Download the mom.life app now!